Over the past few months, I spent a lot of time using Excel 2013 and the Power View add-in for completing various kinds of analysis on System Health Session data for SQL Server 2012. I thought it would be a good idea to create an Excel sheet with a template which would allow me to do these activities at the click of a button. 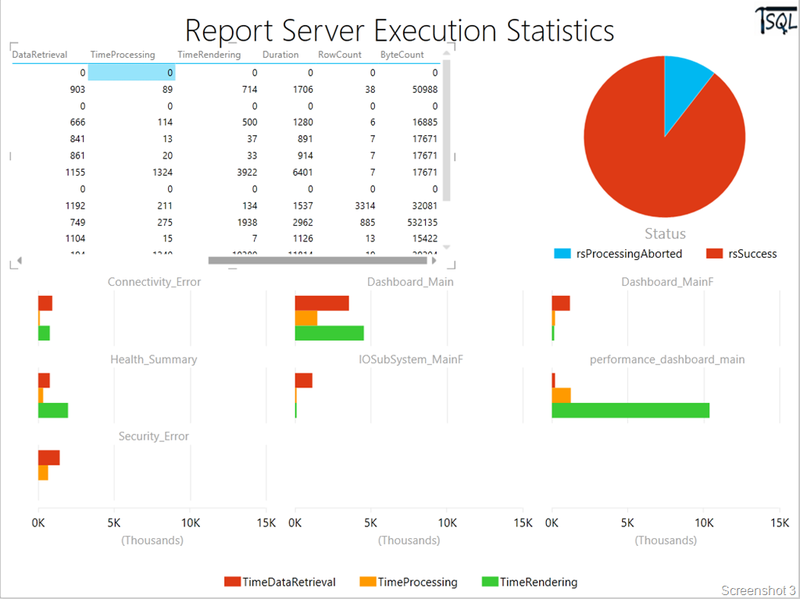 I had recently written a post on how to retrieve Report Server execution statistics using Power Pivot and Power View. I will use the same philosophy to generate the CPU usage statistics using the System Health Session. Now, you may ask why not query the data directly into an Excel sheet. The reason I do not do this is because it allows me to add calculated fields. Additionally, it allows me to write a query to fetch the data from the System Health Session that runs on SQL Server 2012 and above instances. I had written an article on SSWUG on how to parse the scheduler_monitor_system_health_ring_buffer_recorded data and retrieve the CPU usage statistics using a SSRS report. This time around I fetched the data into a PowerPivot table. Then I added a new column for retrieving the day of the month using the DAY function. 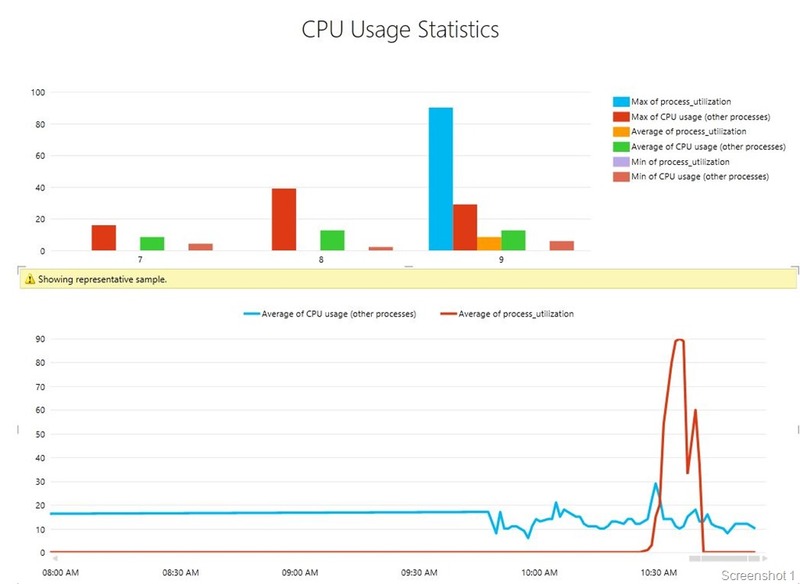 I also created a new calculated column for tracking the CPU usage of other processes using the SQL process utilization and system idle values. The new column is named “CPU usage (other processes)”. Now that the PowerPivot table is ready, I used the created table as the source for a PowerView sheet in Excel 2013. The clustered column chart uses the calculated Day field to make the chart more reader friendly. 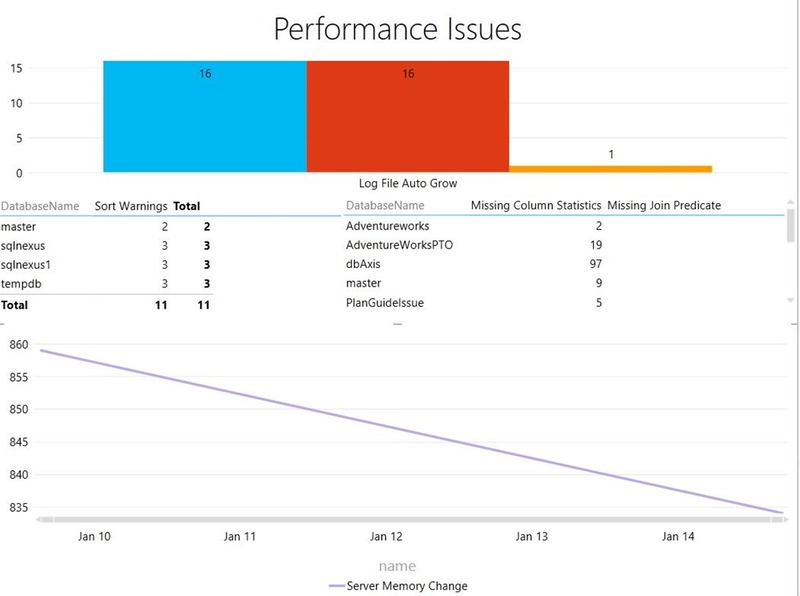 The second chart in the sheet is a line graph which tracks the average CPU usage for the SQL Server instance and other processes across a timeline. The slider at the bottom of the chart allows you to zoom in and out interactively of a time window that you are interested in. Stay tuned to TroubleshootingSQL.com for more such visualizations! The first thing to do is to create a connection to your Report Server database table. That can be done using the PowerPivot tab in Excel 2013. Click on the Manage button (Screenshot 1). Once you are PowerPivot window, you will need to establish a connection with your Report Server database. This can be done using the From Database drop-down list with the From SQL Server option (Screenshot 2). Create a connection to your SQL Server instance which hosts the Report Server database using the Table Import Wizard. In the Choose How to Import Data screen, select the second option i.e. Write a query that will specify the data to import. Once you click Next, provide a friendly name for the query and copy-paste the query shown below. Now data obtained from the query will be imported into the PowerPivot table. Now I create a new PowerView sheet in the Excel workbook. Add a new column to add the TimeDataRetrieval, TimeProcessing and TimeRendering columns so that the total report duration is available at a single glance. Now save the PowerPivot data and add a new PowerView Excel sheet called “Execution Stats”. This would allow you to create a view as shown in Screenshot 3. I have uploaded the file to SkyDrive which would allow you to connect to your own Reporting Services database and use the same report format for analysis. Stay tuned for additional PowerView sheets to give you various slicing and dicing options on report execution statistics. Excel File Download Link: http://sdrv.ms/17ZmbK0 (Filename: SSRS_Exec_Stats.xlsx) Works with Excel 2013 only.